Lok Sewa Aayog (PSC) has published the notice for Nepal Bidhut Pradhikaran (NEA) Exam Schedule and Exam Centers 2075. 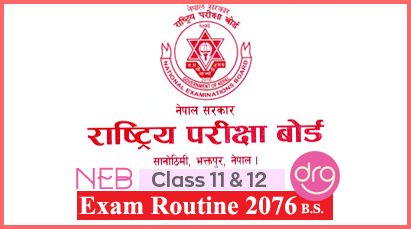 Today Monday, May 14, 2018 [31 Baishakh, 2075] NEB Grade XI Compulsory Nepali exam (2075-2018) has been held. Check and Download All Question Papers Of Faculty Of Management Grade XI (Class 11) 2075 - 2018, NEB. Today, 26 Baishakh, 2075 [May 9, 2018], TU Service Commission has published the Interview Dates for Assistant Professors Post. Creating a Website is really expensive specially for students, researchers, and for many others.